William Henry Anderson, a Carpenter’s Apprentice from Yorkshire England, first came to Sooke on foot from Victoria in search of land to farm in 1895. He found 160 acres of suitable land and purchased it from the E. & N. Railway Company. Because it was in the very tip of the Malahat Land District, he called his farm Malahat Farm. 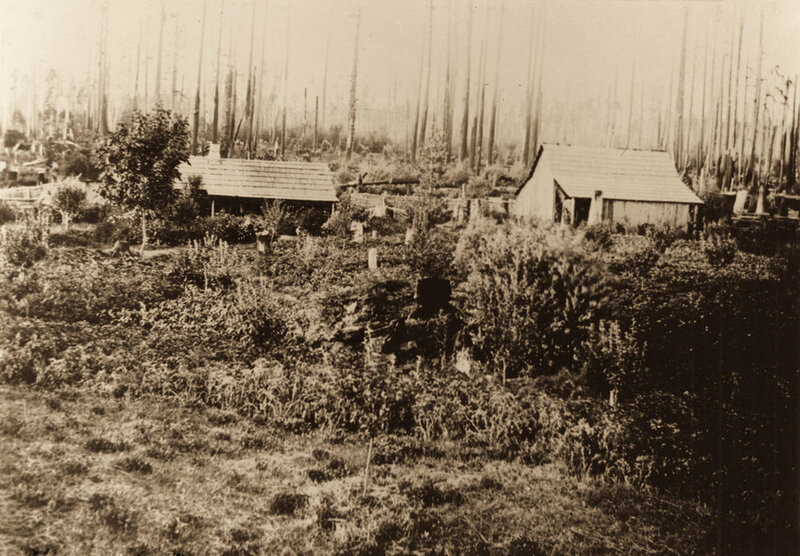 In September 1886 he brought his wife Azuba, eldest Daughter Marjory, Son Herbert and one-year-old Lavinia in their spring wagon to Malahat Farm to start their new life. First, they cleared a small piece of land to build a log cabin which he and his wife finished enough to move into by Christmas of that year. Slowly, more land was cleared for a garden and farming, and a sawmill was set up. After clearing, farming approximately 16 acres, and starting a sawmill, Mr. Anderson and his family began building a new farmhouse. The house that still stands today was finished to a very high standard in 1914. Although he never saw electricity before he died in 1935, forward-thinking Mr. Anderson wired the house for electricity when it was first built. After completing the farmhouse, the Anderson Family began welcoming guests to their property. 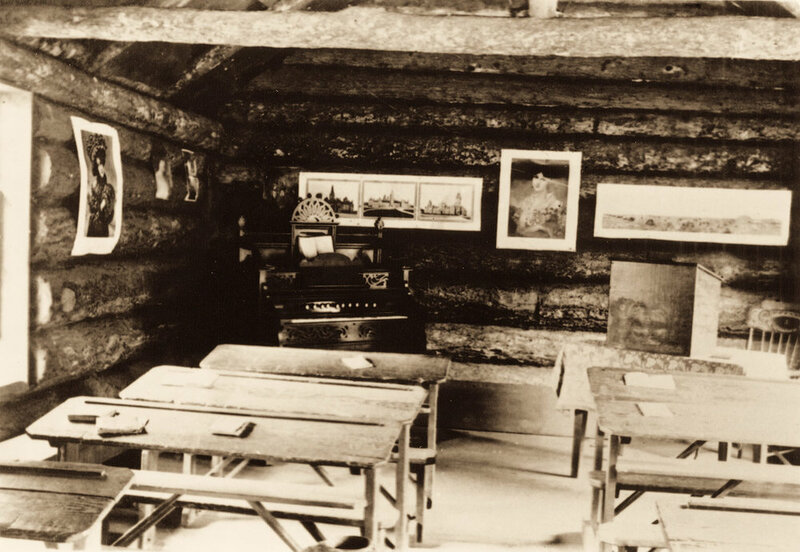 Using their original cabin and other outbuildings they were able to accommodate about 20 guests at a time. 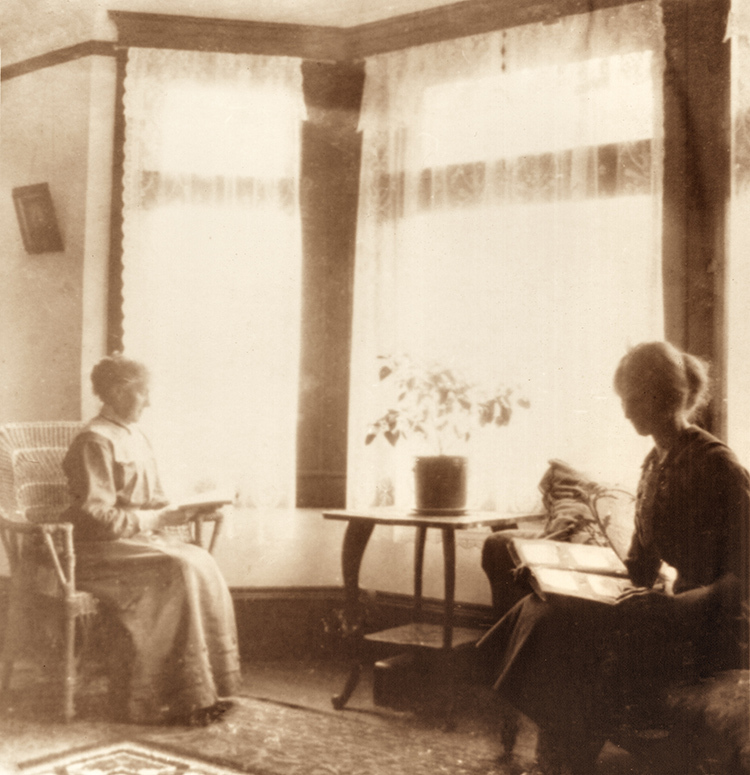 In 1918 William's son, Herbert Anderson, with his father's help, built The Cottage for himself and his new bride, Margaret. They lived there with their two daughters until after the death of William Anderson in 1935, when Azuba moved into the cottage and Herbert and his family moved into the main house. Herbert continued to farm the land, mill wood, and run the farm as a destination for guests until his death in 1959. His wife stayed another year, then sold the property and moved away. Over the years the property has gone through many changes but has continued to remain a place where guests can come to stay to enjoy the beautiful, peaceful surroundings. Imagine how it would have been for the Andersons when they first arrived here more than 120 years ago! William Henry went back to England in the fall of 1888 to marry Azuba Firth (born in England on Dec. 23 1861) in the Parish Church in Queensbury. In the spring of 1889 they came to Canada to the farm that William had ready for Azuba in Manitoba, Section 22 Pipe-Stone District. They farmed there for 6 years then sold it. The Anderson’s log cabin & barn built in 1896. The Anderson’s log cabin built in 1896 and barn in the distance. The 1st Muir Creek bridge with Lavinia Anderson & cousins. The Tugwell Creek School. Built in 1899. Closed as a school in 1902 (not enough children) but used regularly as a church, for get togethers and for voting day. Mrs. W. H. (Azuba) Anderson, her daughters Lavinia (Vinnie) & Margaret and Ernest & Olive Firth and Richard Clarke at the Tugwell Creek School. 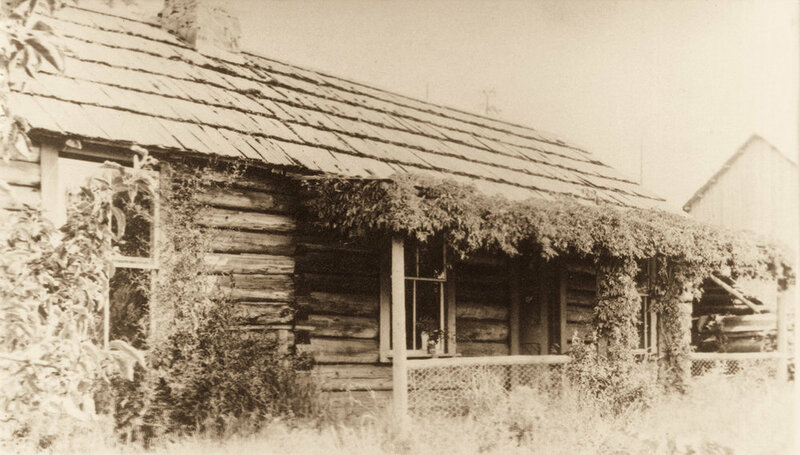 William Henry Anderson in front of log cabin. The Anderson’s mill. They cut lumber for themselves and other pioneers in the district. 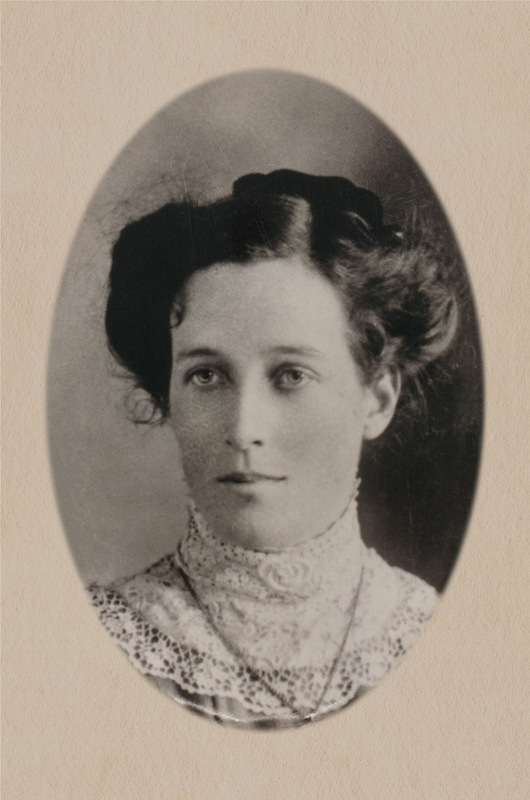 Margaret Ann Anderson (Marjory). Age 15. The Anderson Family before Marjory’s wedding to Percy Clark. Left to right, Herbert, Lavinia, William Henry, Marjory and Azuba seated. The new house was finished being built in 1914. Built by W.H. Anderson and his son Herbert of lumber cut from W.H. Anderson’s mill and rocks from the farm. The Anderson Family. Lavinia, Percy & Marjory, Herbert, Azuba & William Henry. The Wedding of Percy Clark & Marjory Anderson on May 12th 1914 at Malahat Farm. The Kirby family and all the Clark family attended as well as Anderson relatives. Percy & Marjory after the wedding leaving Andersons to to the new house on the top of Shirley Hill. Gordon and Vogel Logging Company. Harry Vogel’s 10 horse team pulled logs out of the bush along a cordwood road and down to the water at Poirier’s Beach. William Henry and Herbert ploughing land with Darby & Joan. W.H. Anderson’s first tractor used to plough and harrow the fields. Kitchen of Andersons farm house. Rocker in front of fireplace. Old ships barometer hanging from the wall. Table still in use at the Stolth’s house. Azuba and daughter Lavinia sitting in dining room. Home-made rag rug on the floor. Azuba made lots of rugs for the house and for sale. Herbert Anderson’s first truck. Note hard tires. Margaret Anderson with daughters Marion and Audry and Grandmother MacLachlan from California. Anderson grandchildren on the lawn at the farm. Anderson grandchildren on the lawn at the farm. Windmill in the background and Monkey Puzzle Tree. Marjory with Ford car. Twins in back. The 2nd Muir Creek Bridge. William Henry & Azuba Anderson. Azuba & William Henry Anderson. Azuba & William Henry Anderson with Monkey Puzzle Tree. Azuba & William Henry Anderson with windmill and Monkey Puzzle Tree. Azuba & William Henry Anderson getting ready to go on a trip back to England. Chicken Hatchery & Greenhouse at Malahat Farm. → Read more about the history of the Muir Creek region. From the original Malahat Farm guest book. July 5th, 1920 Miss M. E. Carr, Victoria B.C. During the 1920s, Carr ran an apartment house in Victoria that she referred to as ‘The House of all Sorts,’ at 642-646 Simcoe St.
Carr was known for her landscape and modernist paintings, featuring totemic carvings of the First Nations people of British Columbia and the rainforests Vancouver Island. Emily Carr was also the author of Klee Wyck, The Book of Small, The House of All Sorts, Growing Pains, Pause, The Heart of a Peacock, and Hundreds and Thousands.